A little more than two weeks ago it was assured that Telegram, the instant messaging application created by Pavel Durov, was preparing the launch of a blockchain platform and its own cryptocurrency. According to Cointelegraphsources, the name of the digital currency would be Gram and that of the Telegram Open Network platform, shortened as TON; affirmations coincident with rumors spread hours earlier by a former employee. The matter had remained there, without new news or confirmations, to this day. According to information provided by various sources to TechCrunch, the block chain will effectively be called Telegram Open Network, the Gram currency and the launch will be financed through an initial offer of currency with a potential value of between 3,000 and 5,000 million US dollars. Its platform, in addition, would be a blockchain of “third generation” that would go beyond Bitcoin and Ethereum. According to the US media, Telegram would be considering raising up to 500 million dollars in a prior sale to the ICO, which, as we said, would have a potential total value of between 3,000 and 5,000 million. A record absolute figures that, however, and according to the news, could change before the possible arrival of the initial offer of currency during the month of March . This pre-sale would be destined to large investors to charge with confidence the future of Gram and TON. If there is a previous investment of large agents, retail investors could enter more strongly during the ICO. TechCrunch says that it is possible that these pre-sale investments have a minimum purchase of 20 million and that the sources claim that the ICO will require a real fiduciary currency, so it can not be purchased with bitcoins or ethers. 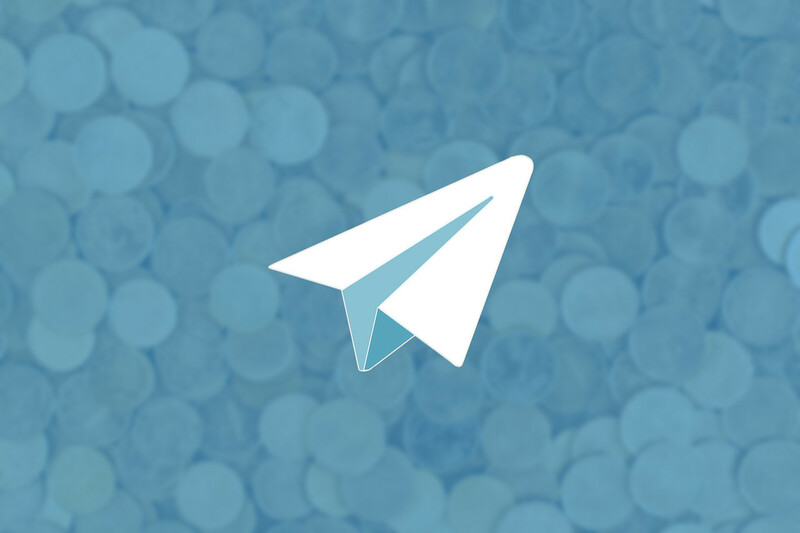 Telegram Open Network would take advantage of Telegram’s 180 million users to move forward towards the adoption of Gram and the possibility of serving as a platform for other cryptocurrencies due to its existing scale. In addition, it is ensured that the infrastructure will combine centralization and decentralization in order to grow more quickly, which is why it has been necessary to create a chain of blocks of its own. This fact could lead to the creation of an economy of cryptographic currencies in the service and isolate it from attacks and accusations from governments like those of Iran, a country in which the application was blocked after refusing to close channels of peaceful Iranian demonstrators. Similarly, from Telegram intend to emulate WeChat and become a means of payment by default for many, as happens with the popular Asian application in China. In this case, the Durov service would have the extra of a decentralized platform, which would add security and resistance . In any case, the users would have a portfolio for both the Telegram currency and a fiduciary currency , according to the information provided by the sources. According to TechCrunch , Telegram has designed a four-stage plan that has been captured in a 132-page white paper. The four phases are, at the same time, four services or characteristics of the set of infrastructure that will be created around Telegram Open Network and Gram. TON Services : A platform for third-party services in which friendly interfaces will be enabled on mobile devices for decentralized applications and smart contracts. TON DNS : A service that will assign human-readable names to accounts, smart contract services and network nodes. By making an analogy, it will have the function of a domain with respect to an IP address, translating the numerical addresses into easy-to-remember terms. TON Payments : A platform for micropayments and a network of micropayment channels. Its objective would be to make “instantaneous value transfers outside the chain between bots of users and other services”. TON Blockchain : It is the chain of blocks of Telegram, that will be composed by a master chain and several companion chains with the purpose of achieving scalability being able to “divide and merge automatically to adapt to the load changes”. This would avoid long queues, maintain maximum speed despite growth and keep transaction costs low even if there are services that become “massively popular”. This means, according to the information, that “instead of relying on proof of work to create their currency, Telegram will be based on a new form of mining cryptocurrency .” It will be, then, less polluting than Bitcoin and will also make around one million transactions per second. The white paper claimed by the US media specifies that 4% of Gram’s offer, about 200 million, will be reserved for the Telegram development team, while at least another 52% of the currency will be retained by the company. The reserve for developers will have a period of acquisition of rights of four years and the retention of more than half will be done with a clear purpose: “protect it from speculative trade and maintain flexibility” . 44%, the remaining percentage will be sold for both public and private sale. An alleged filtered roadmap specifies that the first quarter of the year will see the launch of Telegram External Secure ID and then TON will be launched as a minimum viable product with the ICO possibly in March. The Telegram portfolio would be scheduled for the fourth quarter of the year and the creation of the economy based on its chain of blocks for the first quarter of 2019. Other services will see the light, according to this document, during the second quarter of next year.